Greek mythology is meant to help us understand an unexplainable phenomenon, but not every myth in today’s world should be trusted to explain social trends. One of the most repeated myths in state tax policy is called “millionaire tax flight,” where millionaires are allegedly fleeing states with high income tax rates for states with lower rates. This myth has been used as an argument in state tax debates for years but Cristobal Young argues in his book, “The Myth of the Millionaire Tax Flight,” that both Democrats and Republicans are “searching for a crisis that does not really exist,” and that there is no evidence to support this myth. Since the passage of the Tax Cuts and Jobs Act, wealthy (mostly blue states) have been looking to work around the cap on state and local tax (SALT) deductions, partly out of a misinformed fear that wealthier taxpayers will leave their states if they no longer get a federal tax break in return for paying their state taxes. On the other side of the debate, red states like Kansas have infamously cut taxes on the rich, partly to attract wealthy people to move within their borders, and again based on the assumption the wealthy will move wherever tax rates are the lowest. Young shows there is little evidence to support claims of tax-driven migration (due to cutting or raising taxes) and offers a detailed explanation of why this theory is just a myth. After examining 13 years of tax returns that reported at least a million dollars of income, Young found that millionaires have a lower migration rate (2.4 percent) than the general population (2.9 percent). 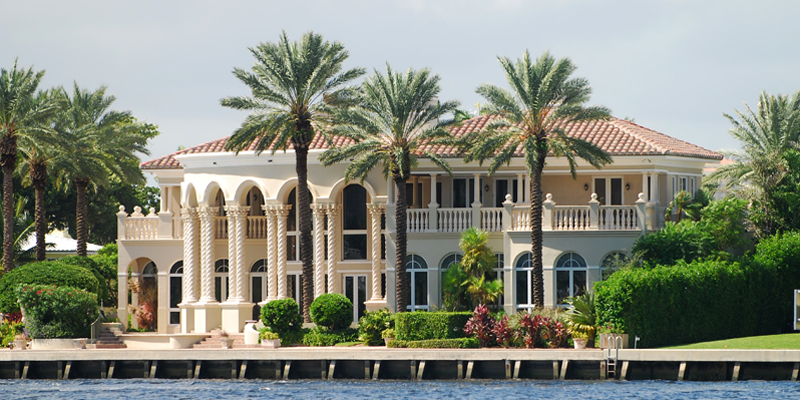 Just 0.3 percent of all millionaires in the country move to lower-tax states in a given year. This has very little effect on states’ overall number of millionaires, and in fact 3 of the top 5 states with the highest concentration of millionaires have a millionaires’ tax. For years this myth has survived based on cherry-picked anecdotes of millionaires moving, or even just threatening to move due to claims of high taxes. And politicians and anti-tax advocates have been relentless in using this myth to further their agendas, like when former New Jersey Gov. Chris Christie said, “Ladies and Gentlemen, if you tax them, they will leave.” In 2015, this myth was emboldened by the move of a single billionaire, David Tepper, from New Jersey to Florida, which has no income tax. Tepper never claimed to be moving to Florida for the tax benefits and there are multiple other potential reasons for such a move (like the fact that New Jersey’s average temperature is 30 degrees in January, whereas Florida’s average is a balmy 61 degrees) but this didn’t stop rampant speculation into the potential tax reasons for the move. Young took a deeper look at what he refers to as the “Florida Effect” after noticing how many millionaires are moving there. In total 30 percent of all millionaire moves involve the Sunshine State (20 percent arrive and 10 percent leave), which is more than any other single state. When Florida is removed from the dataset, however, just 38 percent of millionaire migration involves a move to a lower-tax state, which is roughly in line with the 35 percent share involving moves to higher-tax states. The eight other states, aside from Florida, that have no income tax aren’t especially effective at attracting millionaires. This leads Young to conclude that there must be other attractions that help explain the large number of moves to Florida. So why aren’t millionaires moving to the locales with the lowest tax rates, even though they have the resources to do so and could save some money on their tax bills? Young presents data illustrating that millionaires are more tied to where they are currently living: most millionaires are married, are more likely to have children, and are economically and socially tied to where they made their money. They benefit from where they are living because they have “home field advantage”: they know the area, have connections, and most are “working rich” and moving could actually set them back in their career and productivity. There is a reason they chose to live there in the first place, whether that be career opportunities, the education and public services offered, or overall quality of life. By the time they are making enough to think about moving to save on their taxes they are already deeply embedded into their communities and living comfortably enough that the state tax savings at stake would not fundamentally change their quality of life even if they somehow did find a way to continue earning a very large income in a new locale. The people who do tend to move most frequently are young college graduates and the lowest income residents looking for higher pay and a better quality of life, and state tax rates are not central in these groups’ decision making. Throughout the book Young shows evidence and gives reasons as to why millionaires are not all running out of states with higher income tax rates, and what states can learn from where they are choosing to create their lives. Every moment that state lawmakers spend worrying about the effect of the cap on SALT deductions, or even doubling-down on tax cuts for the wealthy, is a missed opportunity to fix their regressive tax systems. Cristobal Young’s easy to read and interesting book provides insight that will be useful to lawmakers across the country.